Moving. Have you ever moved? Of course you have. 99% of people have moved at least once in their adult life, haven’t they? Some of us have moved tens of times throughout their lives. 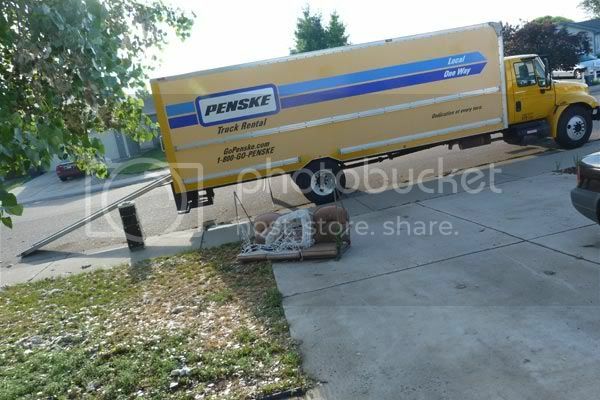 This move though, seemed tougher than any other….even the ones out of state! On July 9th, 10th & 11th we loaded this bad boy up……twice. Yup. We have so much crap that we needed a 26 footer, and had to make 2 trips. 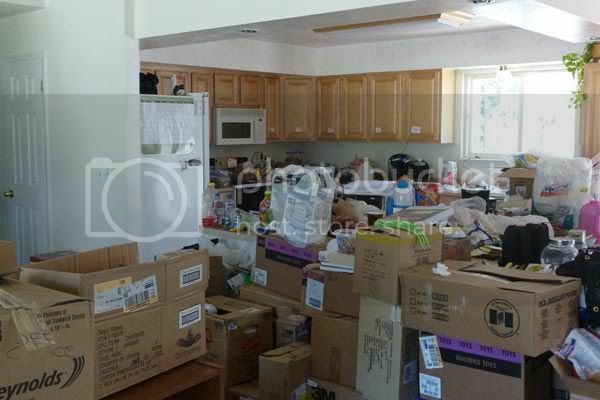 This is after I had the donation truck come to the house FOUR times as I packed. Wow. 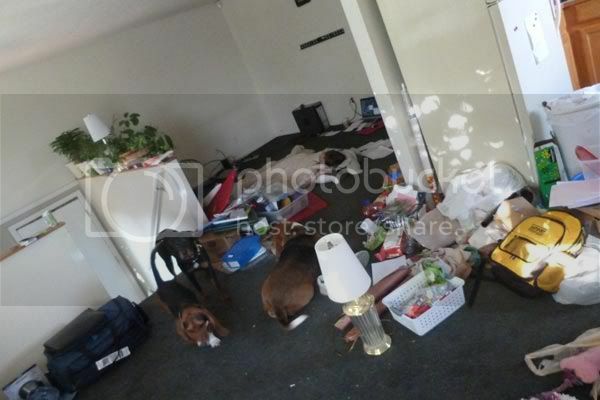 When you live in a house (not a rental), and you have lots of storage space, you seem to accumulate stuff. Lots of stuff! We had a few great helpers, Alex a neighbor, my step-son Jonathan (who was here on vacation), and our boy Sebastian. Without them, I don’t know how we would have gotten all that stuff to the new place. Thank you SO MUCH guys for all your help! After loading the first load, the boys took the truck down to the new house. It’s about a 100 mile trip (one way). They stayed there the night guzzling beer and playing on computers after a long hard day. Thank goodness they had electricity, huh?! On Saturday they unloaded and came back for load number two. Needless to say everyone was too beat to unload, so we stayed the night in Greeley and took the truck, the kids, and ALL the animals except the chickens down to the new house on Sunday. I had three dogs, a giant bunny, a hamster and a cat all the the car with me. Of course the cat escaped his carrier and insisted on laying in my lap the whole trip. It was OK until he decided he wanted to be at my feet instead. Ummm…. No Squeaks, not gonna work. 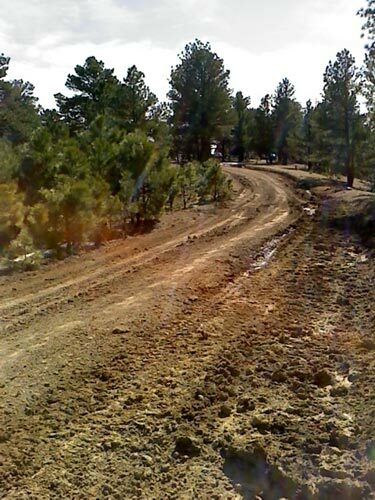 Now, if I haven’t explained, there are almost 20 miles of dirt roads on the way to the house. Let me rephrase that. Twenty miles of winding, hilly, dirt roads. No way around it. Dirt. Dry, rocky, clay dirt. Ever drive on this stuff? Ever drive on this stuff in the rain? Ooooh boy. I’ve never really driven on dirt roads except for a little path here or there, so this was really new to me. Add in the fact that it poured on the way there. Hubby had the boys in the truck. The truck fared a little better than me in the Saturn on those wet, slippery roads because of the traction. OK, I’ll admit it, I was a little nervous. Honestly though, looking back, I think I was too naive to be scared. I have since learned what can happen on these roads, and I now respect them. OK, sometimes I fear them, but I try not to. I’ll be honest, I don’t like the roads. After a long, wet, two hour drive, we got to the house. Errr….home. We unloaded and were done. Whew! Ahhhh…..after all that, all I wanted was pizza, a Mike’s, and a long shower. Ummm….well, since we’re nowhere near a pizza place…strike that. Oh, and did you say the hot water heater isn’t working? Oh, just forget it. We grabbed something quick out of the freezer and crashed!